Our favoured lingual appliance is "Incognito" but we also use "NoTrace" lingual appliances for minor problems. These appliances are fixed braces that are attached to the inside of the teeth (Incognito). 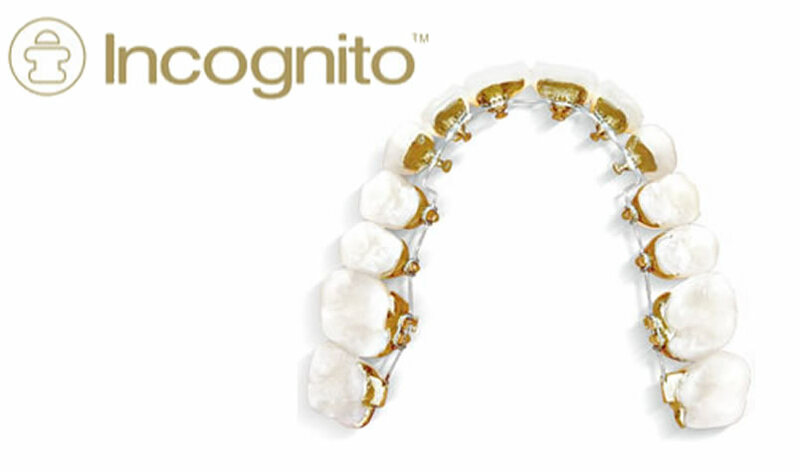 Incognito Hidden Braces are completely invisible so you can smile with confidence. Incognito Hidden Braces are a unique orthodontic treatment option featuring customized braces placed on the back side of the teeth where they are completely hidden from view. Since they are completely customized for you, Incognito Hidden Braces offer many treatment options. You know a great smile can make a difference, not only personally, but professionally. 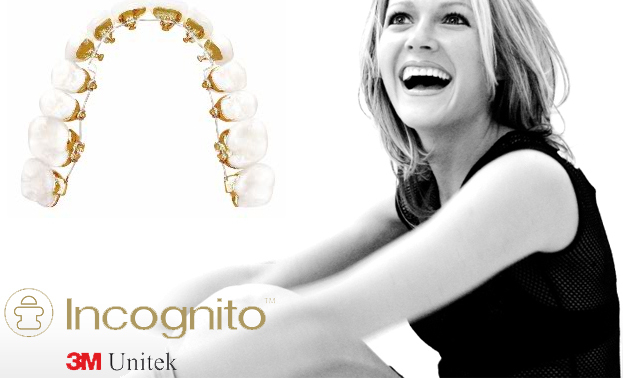 If you're ready to smile with confidence through life's big moments, then Incognito Hidden Braces are for you. With your treatment goals in mind, the ceramic particle size has been reduced, allowing for a more rounded, smaller ceramic bracket while increasing the resistance to fracture and providing outstanding translucency.